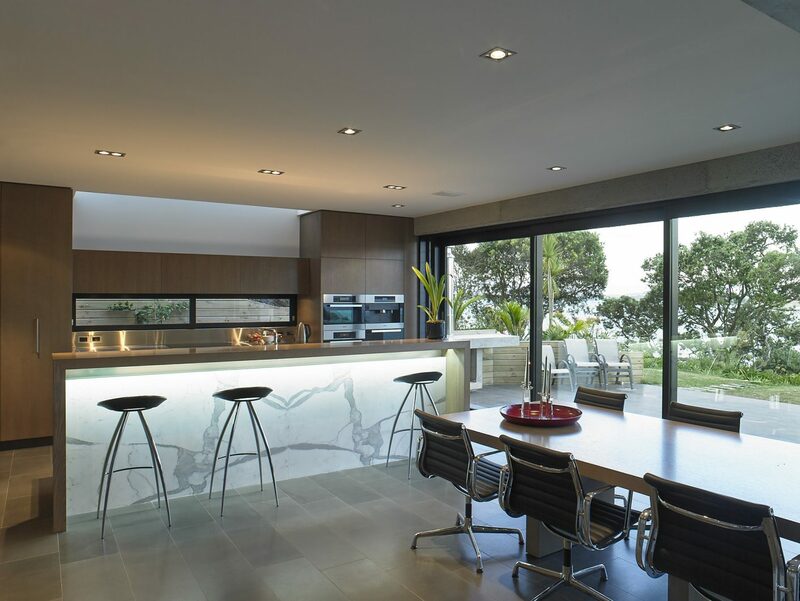 The House is located on the edge of a cliff overlooking Browns Island in the Waitemata Harbour. Our clients had lived on the site for thirty five years in a deteriorating timber house and were keen to build a new home to live in for the rest of their lives. The design is composed of a collection of interlocking concrete box forms of varying proportions which create a rich variety of interior spaces. A double-height central spine anchors the composition and leads the visitor from land to sea. 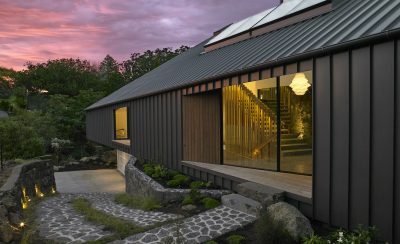 The stepped cross-section allows natural light to penetrate deep into the house throughout the day. A grand timber-lined spiral staircase connects the three levels vertically, with bedrooms located on upper level, living areas on the mid level and a guest room on the lower level. A ribbon of timber weaves through the house as a sculptural counterpoint to the rectilinear concrete structure. 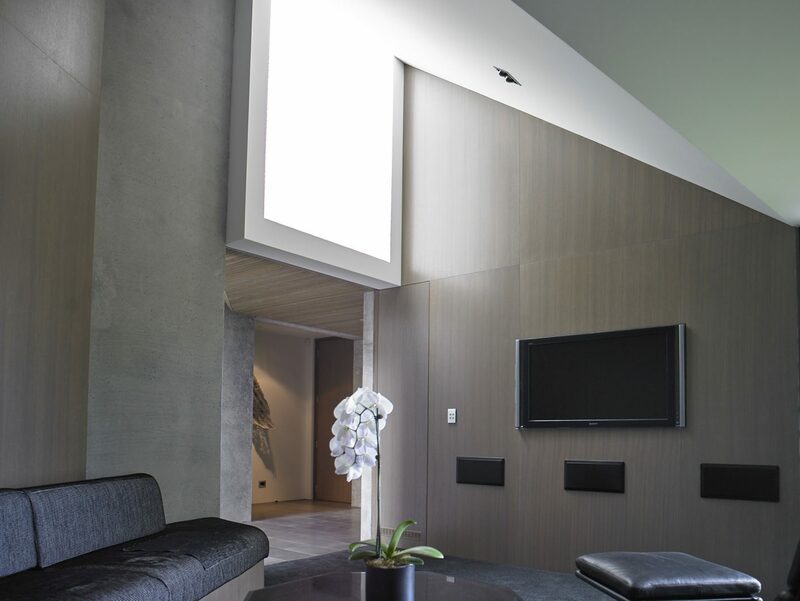 Skylights are placed for dramatic effect and windows are carefully located to frame specific views. 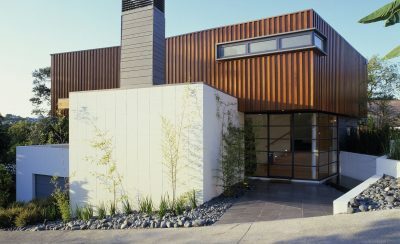 The textured cast concrete exterior is contrasted with the smooth ground concrete walls of the interior. The atmosphere of the house results from an interplay between austerity and sensuality.